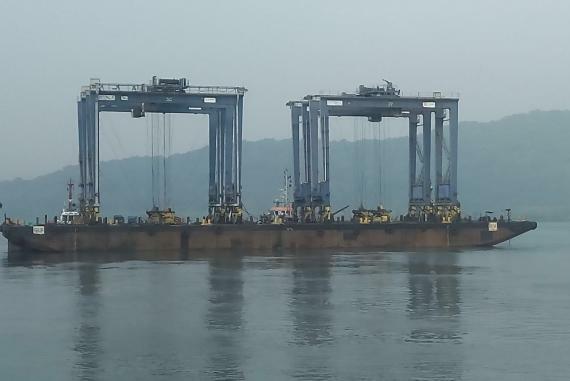 Indian members, Express Global Logistics (EXG) were awarded a challenging project to ship 4 units of rubber tyre gantry cranes (RTGCs) from Nhava Sheva to Mundra. The dimensions of 25.27 x 11.94 x 25.10m and total weight of 535tns made it difficult to achieve a proper stowage, vessel stability and the roll-on/off. After a series of meetings with all stake holders, including the customer, port officials, marine warranty surveyors and third-party inspectors and in compliance with EXG's own QHSE standards and the customer's stringent regulations, a plan was chalked out clearly defining and describing the activities at each stage. Nandit Dayal at EXG explains; "Firstly, the engineering team had to put their innovation skills to test to achieve the best stowage on one barge with limited space on deck. 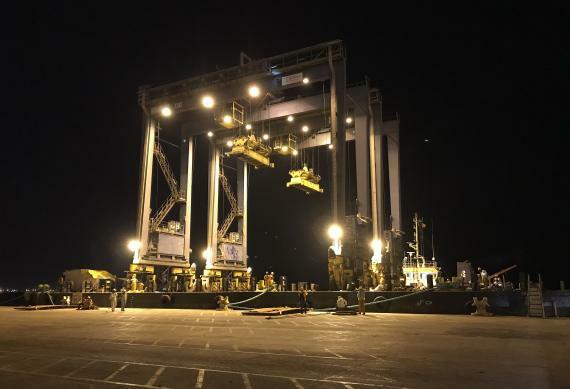 Then, it was the marine team's job to ensure sea going stability in compliance with IMO regulations for such a heavy and high center of gravity load. EXG was faced with tidal range of over 4m at Nhava Sheva and over 6m at Mundra but the barge maintained sufficient pumps to meet these tidal variations by ballasting and de-ballasting. The roll-on and roll-off operations of the RTGCs was perfectly carried out, keeping the barge at the same level as the jetty. The gap of 3.5m between the jetty and barge was bridged by a steel ramp, designed and tested especially for the purpose. The sea fastening was done in accordance with the cargo securing manual for the vessel and was subject to detailed discussions and requirements of the marine warranty surveyor and inspectors. The resultant plan was supported with proper calculations and in line with the weather predicted for the intended voyage. 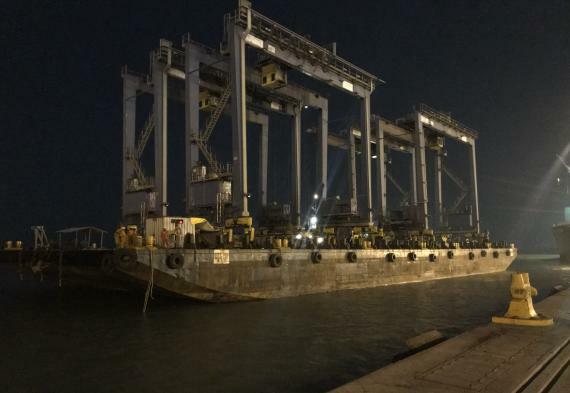 Continuous monitoring of the weather en-route and passage planning for the barge was also carefully performed to ensure the safe voyage and arrival at Mundra." 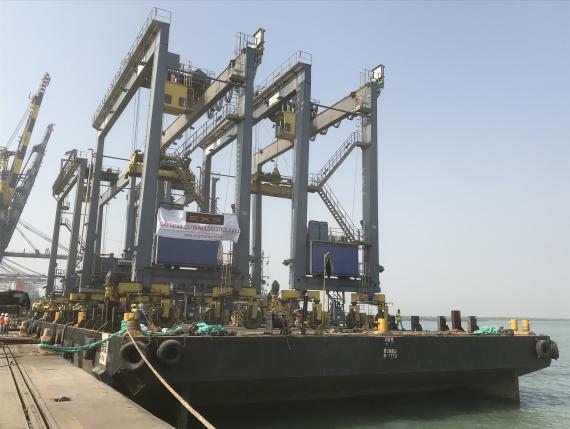 All 4 units of the RTGCs were safely handed over to the customer at Mundra after the roll-off in just two tides - please see the gallery below for photos. Nandit concludes; "The customer's satisfaction and their words of appreciation were the best things we achieved in the entire execution of the project! ".